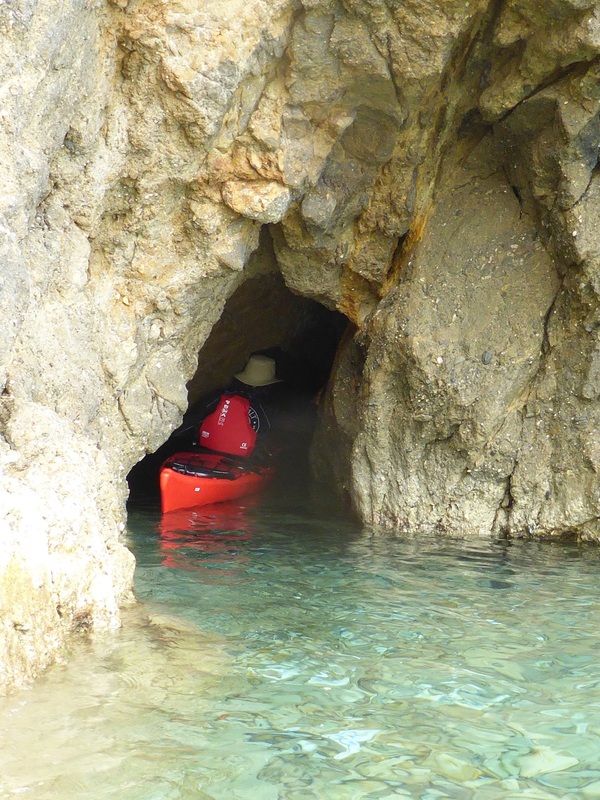 All of our gear is newly bought sea kayaking equipment made by specialized kayaking companies. 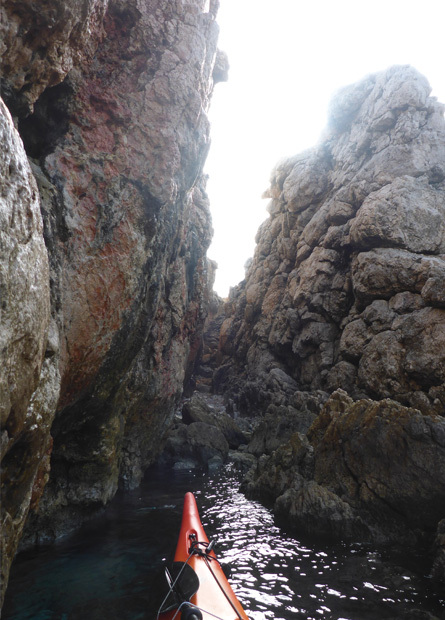 The North East part of the island is interesting for sea kayaking because it forms a peninsula that widens at the tip and is suitable for a circumnavigation in a day trips time providing suitable wind conditions.In less then ideal wind conditions different route variations are available. 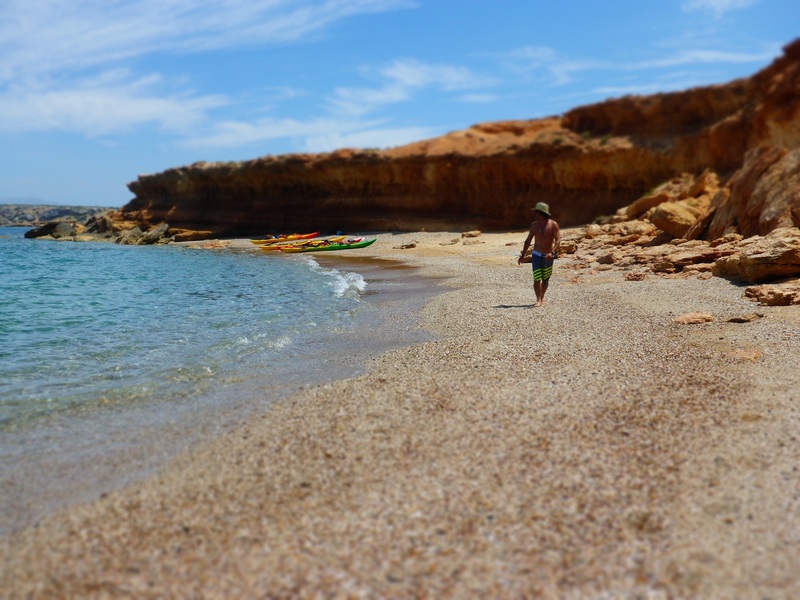 On the eastern part we start on the turquoise waters of Filizi, pass by the very popular beach of Santa Maria and its smaller sibling Mikri Santa Maria. 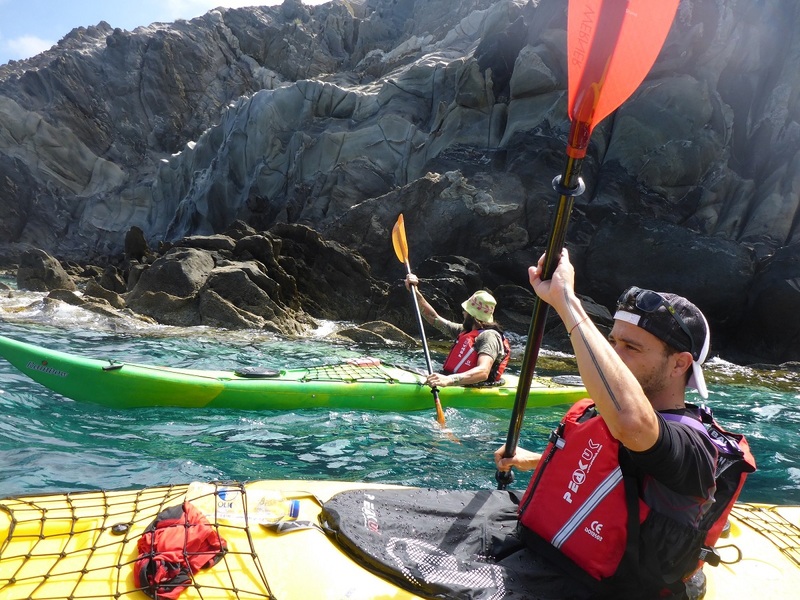 We leave the crowded waters of the bay and paddle across the rocky coastline where if we're lucky we might spot the pair of Peregrine Falcons that is found there. 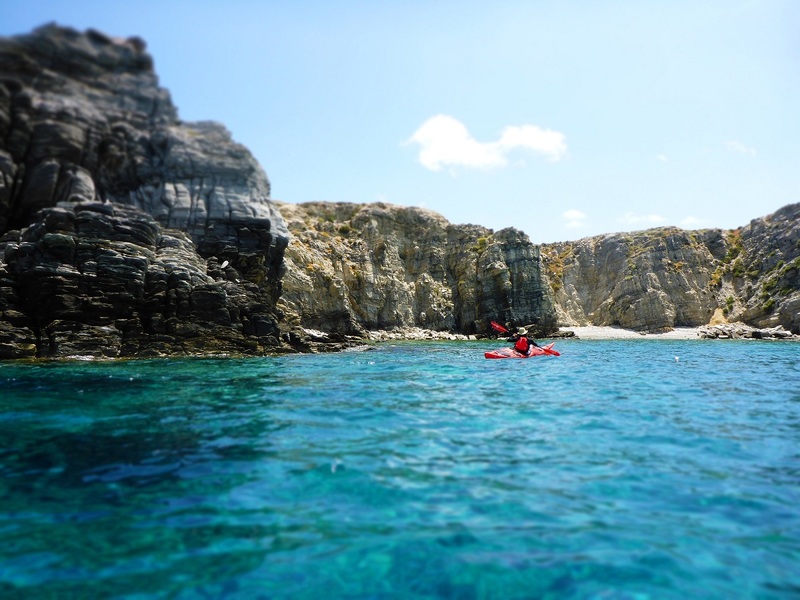 We arrive at the bay of Zevlogiani where remnants of an old shipyard give us clues of the islands long maritime tradition. Off the coast there is a number of isles that we can easily explore if we feel strong. 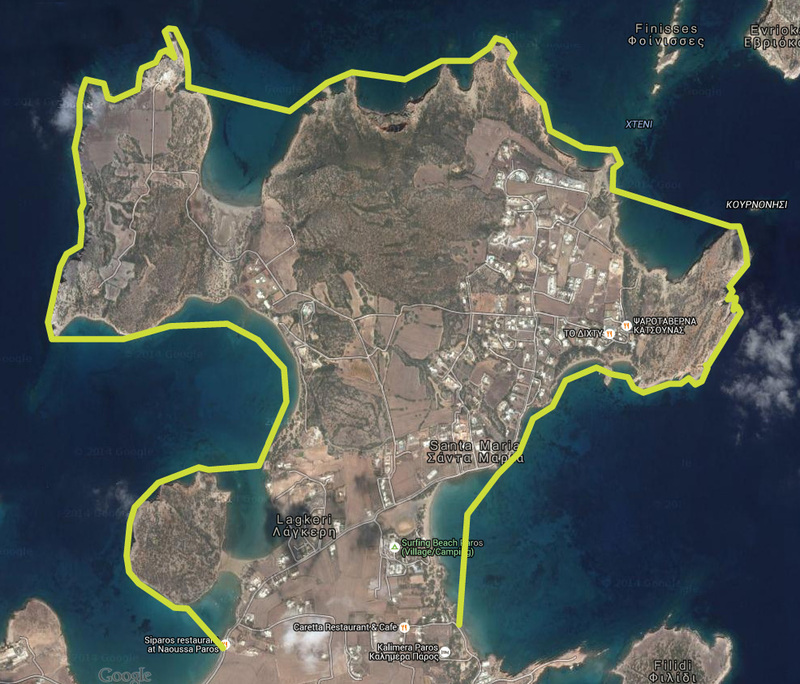 These islets host significant numbers of Sea gulls, Cormorants and depending on the time of year Little Egrets. We continue to the beach of Platia ammos, a wide sandy beach that is looking to the North and thus gets affected by the prevailing summer Northern winds, the 'Meltemia'. Leaving the small island Ghaidouronisi behind we move along the impressive cliffs that guard the entrance to the big bay of Naousa. 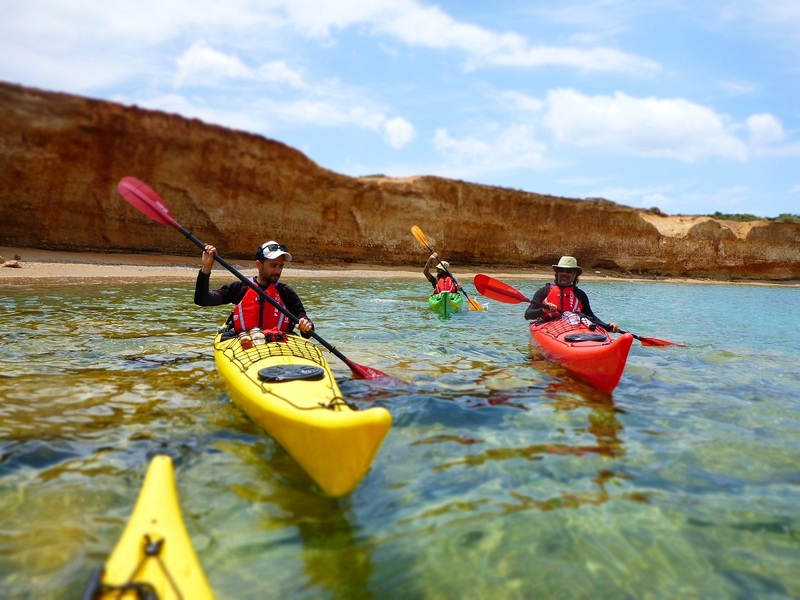 On our final paddling parts we experience the beauty of Lageri, a small bay with crystal clear turquoise waters and a fine sanded beach surrounded by sand dunes and salt tolerant vegetation. Our break spots may vary depending on our chosen route.